The jury, consisting of Zdenka Badovinac, director of the Moderna galerija, Ljubljana; Hou Hanru, artistic director of the MAXXI Museo nazionale delle arti del XXI secolo, Rome; Sheena Wagstaff, Leonard A. Lauder Chairman for Modern and Contemporary Art of the Metropolitan Museum of Art, New York; Sven Beckstette, curator at Hamburger Bahnhof – Museum für Gegenwart – Berlin; and Udo Kittelmann, director of the Nationalgalerie – Staatliche Museen zu Berlin, decided after intensive discussions on Agnieszka Polska (born 1985 in Lublin) as the prize winner. 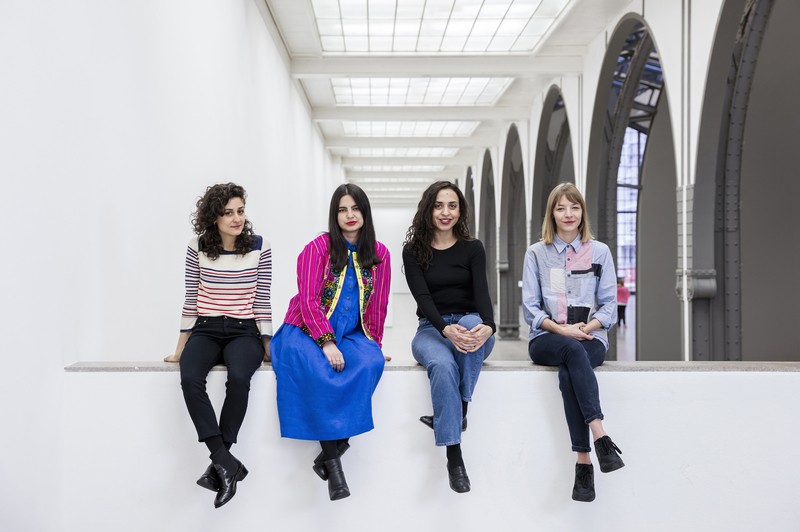 In addition to Agnieszka Polska, the shortlisted artists for this year’s Preis der Nationalgalerie were Sol Calero, Iman Issa and Jumana Manna. The works of the artists will be shown in a group exhibition until January 14, 2018 at Hamburger Bahnhof – Museum für Gegenwart – Berlin. In cooperation with the Deutsche Filmakademie the Förderpreis für Filmkunst, endowed with 10.000 Euros, was awarded for the fourth time. The winner is Sandra Wollner for “Das unmögliche Bild”. The Jury, consisting of Meret Becker, actor, member of the Deutsche Filmakademie; Alexander Beyer, actor, member of the Deutsche Filmakademie; Natasha Ginwala, curator of the Contour Biennale 8 and curatorial adviser of the documenta 14; Alice Motard, chief curator at the CAPC Musée d’Art Contemporain de Bordeaux; and Alya Sebti, head of the ifa-Galerie Berlin, chose the winner from a shortlist of four candidates. 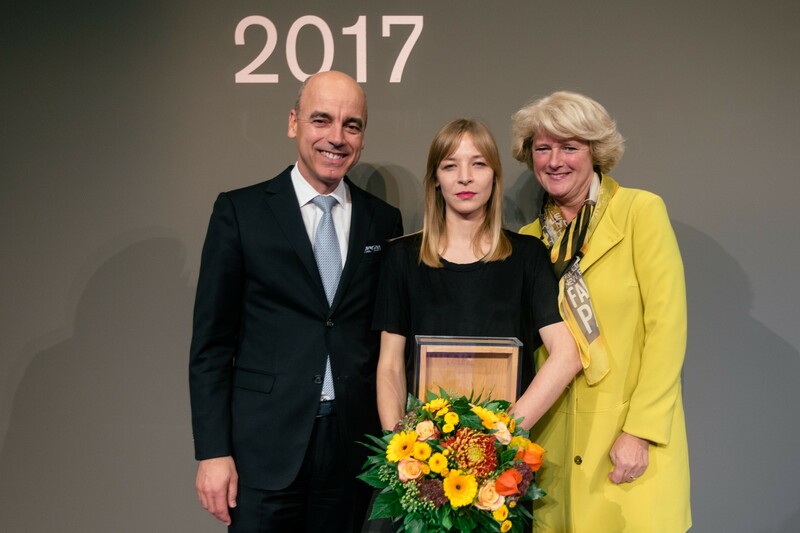 As a symbolic prize Iris Berben, President of the Deutsche Filmakademie, and Alexander Beyer, Deutsche Filmakademie, awarded both winners Agnieszka Polska and Sandra Wollner with a signed multiple “Intuition” by Joseph Beuys from 1968. The Preis der Nationalgalerie was enabled by the Verein der Freunde der Nationalgalerie seventeen years ago. 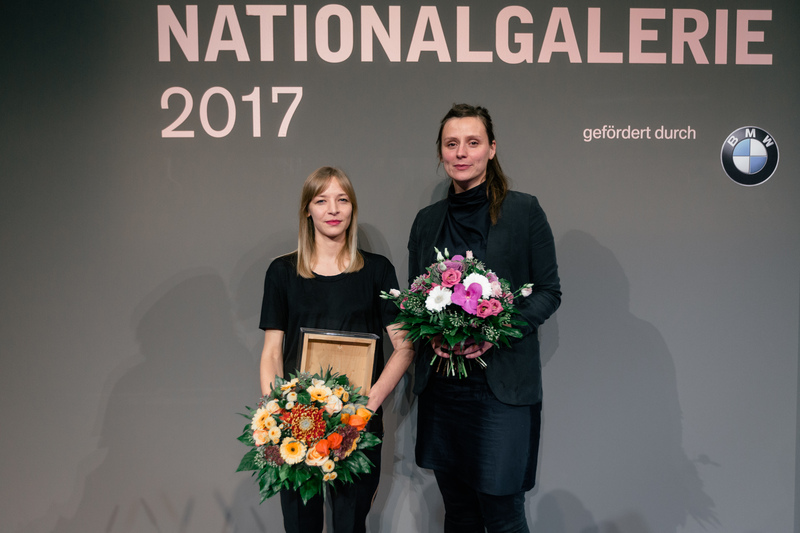 For nearly twelve years BMW supports the Preis der Nationalgalerie as a long-term partner, as well as the Förderpreis für Filmkunst in cooperation with the Deutsche Filmakademie.